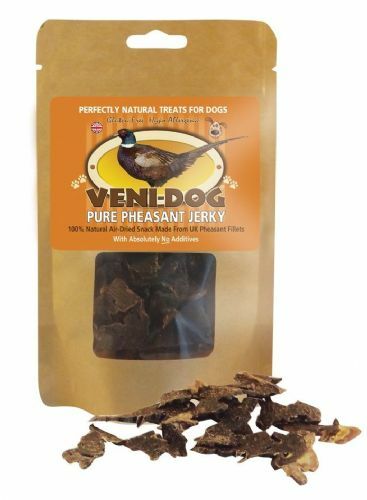 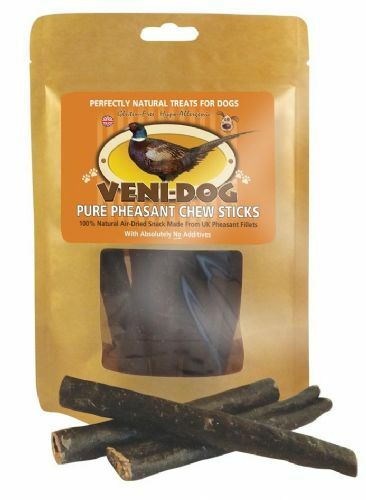 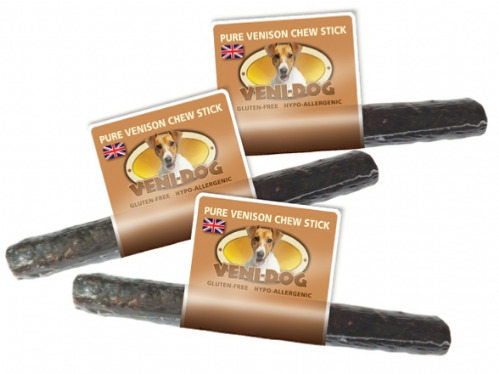 Venison-based premium treats for dogs. 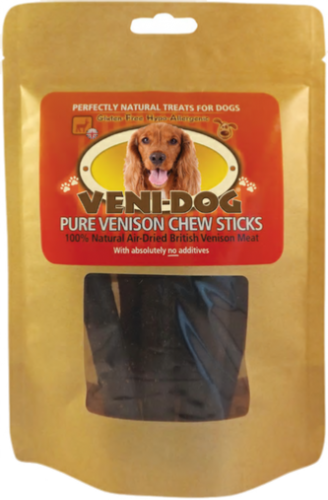 Each 100g tube contains approximately 240 super-healthy, super-tasty treats which are absolutely ideal for recalls and training! 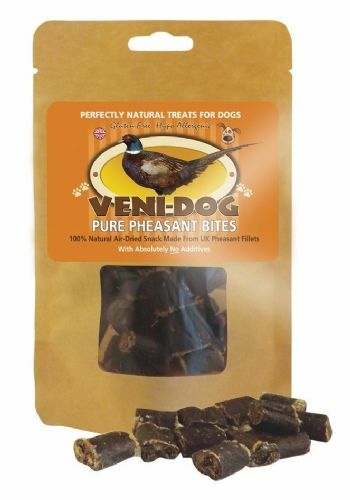 100% natural air-dried sliced sausage snacks made from UK pheasant breast fillets (with no offal or other body parts) presented in an edible sausage casing derived from natural collagen, with no additives. 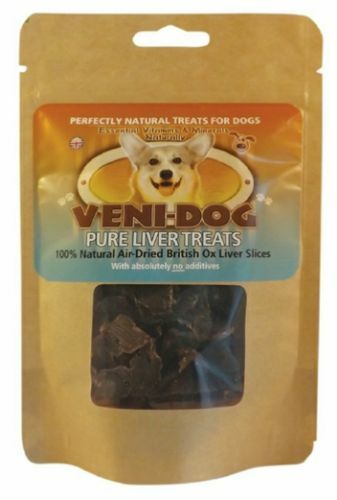 100% natural air-dried Ox Heart slices with no additives. 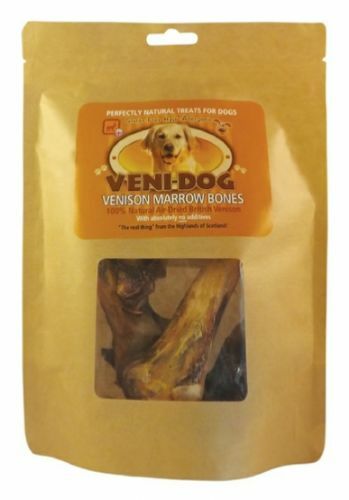 A tasty treat packed with unique nutrients. 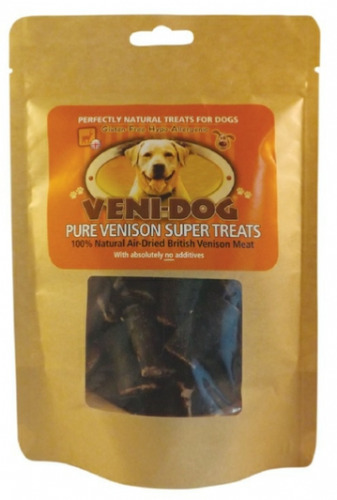 An excellent source of several B vitamins, iron, other minerals and essential amino acids. 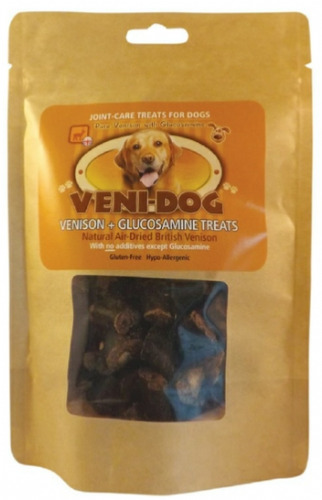 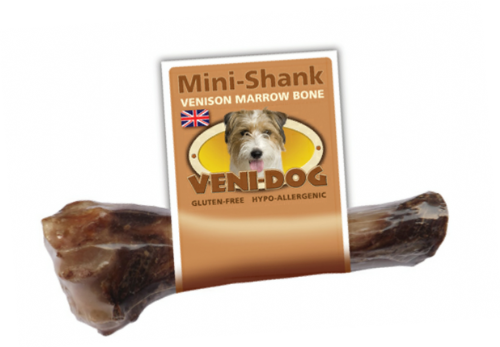 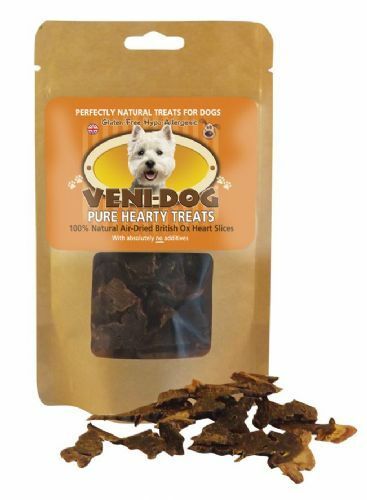 All Veni-Dog products are gluten free, hypo allergenic and suitable for dogs with food intolerances. 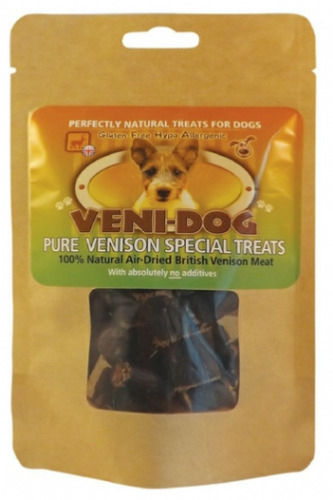 Veni-Dog products are made in the United Kingdom from human-grade British meats, carefully produced so as to retain all nutrients and flavours.